Pregnant? Need Help? If you are experiencing an unplanned pregnancy, or think you are, we can help. Birthright of Concord supports pregnant women throughout their pregnancies and lays a foundation for productive lives for themselves and their babies. We serve our clients until their child is 2 years old. Birthright offers free, confidential and non-judgmental support services to women experiencing crisis pregnancies and their families. If needed, we can offer a pregnancy test. For the duration of the pregnancy, our clients are welcome to periodically select maternity clothes, books and other information on pregnancy and parenting. These visits give us an opportunity to assess other needs which may have arisen. Birthright services are available to women of any age, race, creed, economic or marital status. Our clients range from women who welcome our friendship and emotional support to teenagers who are struggling to continue their education and need the basic necessities. Our monthly operating expenses include rent, utilities, maintenance, and insurance -- all normal expenses associated with running a service agency. The cost of providing basic needs to over 300 expectant mothers each year averages $150 per family. We advertise both in print and on the internet to reach teens and women who may need our help. Although it is costly to publicize our safe haven, it is an essential part of our outreach. This is why we need your support. Birthright is a nonprofit 501(c)(3) organization. All services are free to clients. A tax-exempt, charitable organization, Birthright exists because of the financial and moral support of its donors and volunteers. It is independent, interdenominational and not affiliated with any religious or political group or public agency. The Birthright staff of volunteers works under the direction of a Board of Directors. Birthright is a non-judgmental pregnancy support agency that assists teens and women in crisis. We recognize that some pregnancies may be unexpected or otherwise complicated and present challenges to women in all walks of life and living situations. With that in mind, we offer confidential pregnancy testing, information on pregnancy and parenting, community resources and referrals, and on-going support. Maternity and baby clothes, diapers, and a layette filled with needed items for her newborn baby help with the day-to-day necessities. A mom gift filled with pampering items celebrates the new mom. Any teen or woman who is troubled about her pregnancy may visit for consultation and support services. We are housed in a lovely, home-like setting in a safe, accessible neighborhood where women feel comfortable and welcome. We respect privacy. All services are free and confidential. Women who choose to register with us receive practical support, including maternity items and supplies for their babies. They find emotional support and learn about many community services available to them. Our volunteer counselors advise them of their options, emphasizing parenting or adoption. "Maggie's" story is an example of how our referral system can help. She was a pregnant teenager, near delivery, and desperate. She had just lost her housing and had no place to go. It was near Christmas and no one had offered her help. A Birthright volunteer found a "shepherding" home where she stayed through her delivery and for some time afterwards. The host family cared for her and her baby. In the meantime, we were able to set up some plans for her future....suggestions for child care, affordable housing options, etc. Birthright International is located throughout the United States, Canada and Africa. 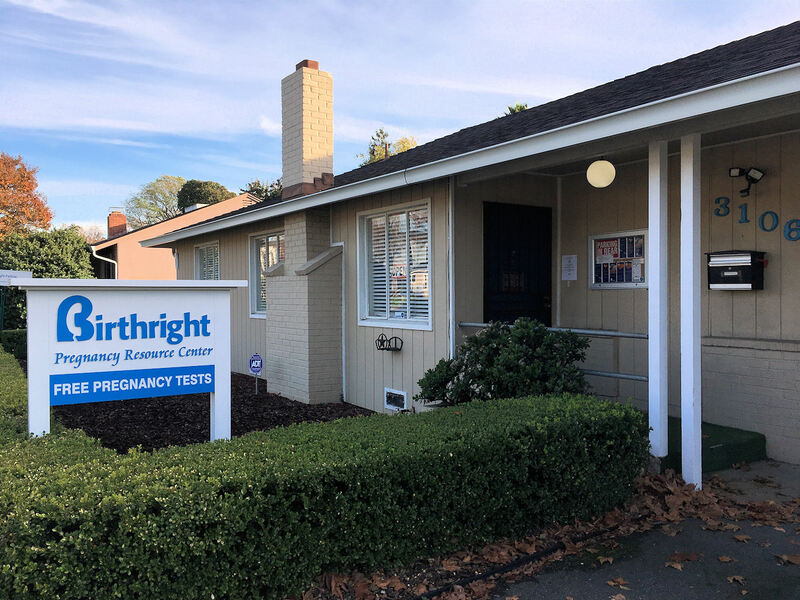 Since 1974, Birthright of Concord has made a difference in our community by providing personalized care and help to pregnant women from all walks of life. Cynthia is a wonderful example. Here is her testimony. "Scared, alone, pregnant, and barely 17, I turned to Birthright. 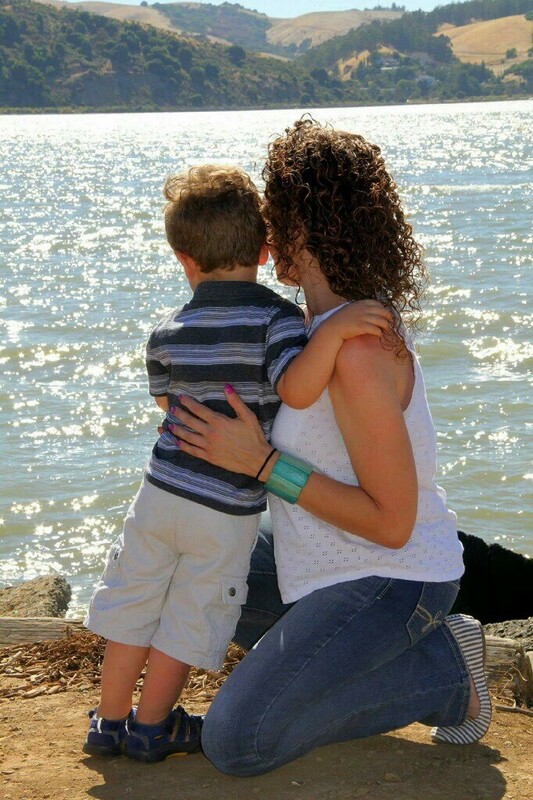 My life fell apart because of my pregnancy. I couldn't go to school, my parents kicked me out, and nobody supported my decision to keep my baby -- except Birthright. They gave me the support I needed to bring my daughter to term. They are a gem in our community. They offer referrals, maternity and baby clothes, diapers and counseling. The volunteer I worked with was so loving and kind that it changed my life forever." Cynthia is happily married to the father of her baby and they now have two daughters. She reconciled with her parents, who are now doting grandparents. Wanting to give back to Birthright, this busy mom became a Birthright volunteer while attending college. Everyone at Birthright is proud of her recent graduation from the University of California. How do we deal with women in difficult life circumstances? We do it with gentleness and genuine care. We listen to their stories and say, "This is where you are at, let's make things better." Birthright is able to offer women non-judgmental encouragement, love and hope when few people in their life are doing so. Birthright offers material and emotional support and appropriate referrals. This help is sometimes vital to an entire family, who may be impoverished and quietly desperate. They are grateful. Birthright is a team effort. The whole team is necessary to make changes happen. Since 1974, Birthright of Concord has helped women find courage and strength to give life to their babies with dignity, respect, and hope for the future. Some of our clients have, in turn, become compassionate volunteers at our center. This story is an example of a client, "Carly," whose whole family benefitted from the care and help she received at our center, and in turn offered impressive help to our center. At Carly's first visit she had a pregnancy test. It was positive. We learned that she had many abortions in the past and that she had three children in elementary, junior high and high school. Birthright volunteers were able to meet with Carly throughout her pregnancy until her daughter was two years old. Carly shared with Birthright volunteers that it was because of the help and friendship that she and her family received from Birthright that she decided not to choose abortion. Going forward, Carly's oldest son chose Birthright as his Eagle Scout project as a way to give back to Birthright. He and the Boy Scouts painted our front door and address numbers on our building the Birthright blue. He raised the funds to buy new shutters, a mirror for the maternity clothes room and an outdoor bulletin board. Our Birthright office staff and Board officers are all unpaid volunteers. We are careful stewards of the financial resources thoughtfully donated to us. The Board meets approximately 4 times a year and reviews expenditures. Extraordinary expenditures are approved before purchasing. Consider your donation to be a birthday present for precious babies who are given life and a chance for a better opportunity because Birthright is there when we are needed most. This is one of the pregnant women we helped, with her now 3-year-old son. We are housed in a home-like setting in a safe neighborhood where women feel comfortable.